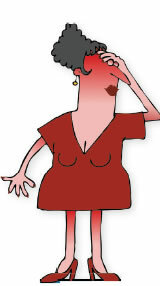 Hot flashes and other symptoms can take a decade or longer to recede, but there is no reason to suffer in silence. There are new options for relief and new tools to guide you. What we know about menopause has changed a lot over the past few decades, thanks to volumes of research. For example, studies reported in recent months indicate that hot flashes and other menopausal symptoms last longer than previously thought, affecting substantial numbers of women in their 60s. And randomized clinical trials have taught us that hormone therapy can be a safe and effective way to control symptoms, although it's no longer recommended for reducing risk of cardiovascular disease. "There's now a critical mass of research showing that, for many women, the benefits of hormone therapy for treating hot flashes and improving quality of life outweigh the risks," says Dr. JoAnn Manson, Michael and Lee Bell Professor of Women's Health at Harvard Medical School. Source: Manson JE, Chlebowski RT, Stefanick ML, et al., Journal of the American Medical Association, Oct. 2, 2013, p. 1359. A recent report from the Study of Women's Health Across the Nation (SWAN) overturned the long-held notion that hot flashes and other menopausal symptoms are short-lived and relatively inconsequential. SWAN, which tracks women of various races and ethnicities who are going through menopause, found that hot flashes and other symptoms of menopause last an average of seven—and as long as 14—years, and an Australian study found that almost 7% of women ages 60 to 65 still had moderate to severe symptoms. Surveys have also indicated that most women don't seek medical help for their symptoms and that they take a toll on productivity. "It's clear that they can affect your work and social life, and yet there are so many options for treating them," Dr. Manson says. The North American Menopause Society (NAMS) has developed MenoPro, a free mobile app (without advertising) that can be downloaded on mobile phones or tablet devices. It has two modes—one for women and one for health care professionals—to make it easier to discuss your options with your clinician. The app enables you to evaluate all the hormonal and nonhormonal options for therapy. It provides access to risk calculators for cardiovascular disease, breast cancer, and osteoporosis and fracture. Once you have estimated your risks for those conditions, you can enter them and other information into a decision-making tool that will help you decide which hormonal therapy or nonhormonal options are appropriate for you. The app also includes links to tables with information on the different medications. NAMS' MenoNotes on lifestyle modifications to reduce hot flashes and other educational materials can be emailed to you from the app to be printed out or accessed from your phone or tablet. You can download the MenoPro app for iPhone or iPad from the App Store and for Android phones and tablets from the Google Play Store. One of the most effective treatments for postmenopausal symptoms is hormone therapy. The Women's Health Initiative (WHI) was designed to determine whether the most commonly used forms of hormone therapy—estrogen plus a progestin (PremPro) to reduce the risk of endometrial cancer in women with a uterus, and estrogen alone (Premarin) in women who had undergone hysterectomy—also reduced the risk of heart disease, bone fractures, and cancer. The results, which are summarized in the table (see "The Women's Health Initiative results"), indicate that both forms of hormone therapy increased the risk of stroke and blood clots but lowered the risk of fracture. PremPro also increased the risk of breast cancer. The use of hormone therapy for menopausal symptoms declined abruptly after the WHI results were announced. However, Dr. Manson, who was one of the lead investigators on the WHI, notes that risks in younger postmenopausal women were small and were often offset by the benefits of treatment. "I don't think women should be denied these treatments if they're having bothersome symptoms and are at low risk of adverse events," she says. The FDA recently approved low-dose paroxetine (Brisdelle), the first nonhormonal prescription treatment for hot flashes. (The antidepressant Paxil is a higher-dose version of paroxetine.) There is some evidence that other antidepressants and the antiseizure medication gabapentin (Neurontin) are also effective in controlling hot flashes. "One way you might want to manage your hot flashes is to take hormone therapy for a few years right after menopause, then use one of the other approaches later on," Dr. Manson suggests. Dr. Manson recommends trying lifestyle modifications for at least three months after symptoms begin before trying hormone therapy. Doing so will give you a chance to identify things that trigger hot flashes, such as coffee, alcohol, or spicy food, and a chance to try behavioral changes like wearing layered clothes, turning down the thermostat, exercise, and mind-body techniques like meditation. Some forms of estrogen carry lower risks. Estrogen suppositories (Vagifem), creams (Estrace, Neo-Estrone) and rings (Estring) can relieve vaginal dryness. They aren't absorbed into the bloodstream in significant amounts to be distributed throughout the body. As a result, they have minimal effects on risk. Estrogen patches (Alora, Climara, Estraderm, Vivelle-Dot) and estrogen and progestin patches (Climara Pro, Combipatch) may pose less risk of blood clotting than oral forms because the hormones do not make an initial pass through the liver. A newer medication, Duavee, combines estrogen with bazedoxifene, a selective estrogen-receptor modulator, instead of a progestin. Bazedoxifene protects against endometrial cancer and doesn't increase breast discomfort or density on mammograms. There are some new tools to help you make a decision, which are built upon decades of research and the experience of hundreds of thousands of women. If you have no history of breast or endometrial cancer, heart disease, stroke, or blood clots, the chart below can help you assess whether you might benefit from hormone therapy. It is based on your cardiovascular risk score, which you can calculate at health.harvard.edu/heartrisk. The MenoPro mobile app also has a risk calculator to help you estimate your 10-year risk of cardiovascular disease (heart disease and stroke). Source: Manson JE, et al. Menopause. March 2015, p. 248.